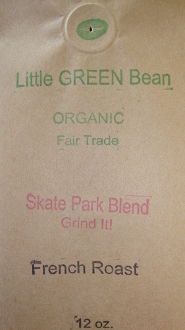 A blend of an Organic Mexico Oaxaca and a Fair Trade Organic Sumatra Tunas Indah makes this French Roast smooth and delicious. A portion of the profits are going to help build the Point Arena Skatepark. Grind it!